I was one of those weird kids who always loved eating broccoli. Now, it probably helped that my mom often served it with cheese, but still, broccoli was always good stuff in my book. Broccoli is a great source of beta-carotene, vitamin, fiber, antioxidants, iron, zinc, magnesium, and folate. Impressive, right? I tried juicing with broccoli, but liquified broccoli was so bitter. Frozen broccoli is a little less bitter than raw broccoli, so I thought that frozen broccoli would work well for my smoothie. I used bananas to add creamy sweetness and peanut butter for protein. To help build on the yummy banana and peanut butter flavors, I used unsweetened vanilla flavored almond milk. Since spinach doesn't usually add much flavor to a smoothie, I added in some additional spinach. 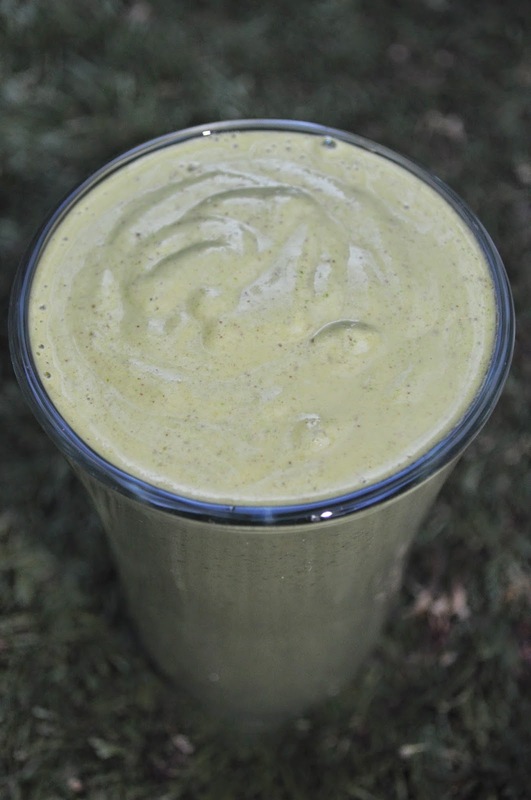 Basically, the key to this smoothie's success was pulverizing broccoli to oblivion. The banana, almond milk, and peanut butter sweetened the end result. I could not taste the veggies in this smoothie. It tasted like a peanut butter banana milkshake. It was hard to believe there was broccoli in it! Yes, you can put broccoli in a smoothie. The broccoli taste is hidden--along with lots of vitamins! You can't taste the broccoli either! Love this idea- I've been using frozen carrots in my smoothies lately- I'll have to try broccoli soon. Oooh, that's a great idea!